This brought me to tears today...thinking of my sweet Landon. The entry comes from a fellow blogging mom who is fighting similar challenges with her daughter. "Watching that miracle from behind the glass mirror, I realized my truth: Rylie is NOT broken. She is the very image of God. God, who knows what it is to hurt. What it is to be misunderstood. What it is to have people define you by their fears. What it is to love unconditionally. Rylie is a lot of things, but she is NOT broken. I am a lot of things, but I am not afraid." Miss K has an oh so cool new do these days! She decided last week that she wanted to go short and that she did! I love it, she loves it! It fits her spirited personality so well! Lovin' that confidence and adventure! My little guy is about to be 6 months! He has captured my heart yet again and I'm blown away at how his life has transformed me. As our third child he has given me the gift of being in the moment and treasuring each and every day! I love you Nolan! You are a special special gift! These past 6 months have filled my heart in so many ways! Five years ago, Miss K met a very special boy named Luke. Five years ago, I met a woman who embodied the word "mom"! Our families crossed paths not by chance nor by accident. 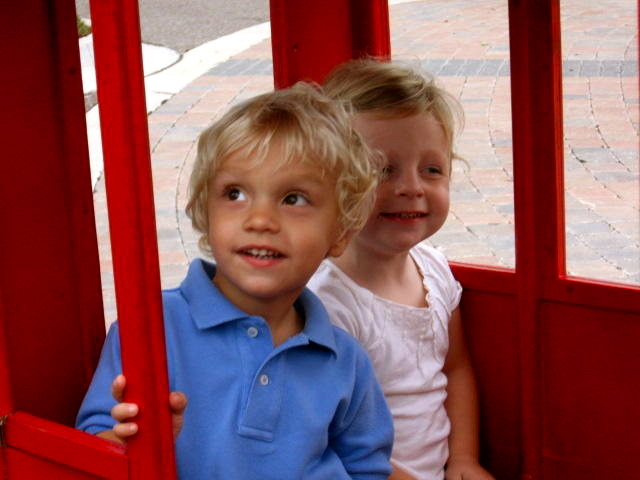 Kennedy and Luke started preschool together at the tender age of 15 months where a beautiful friendship was started! He is a boy full of life, full of spirit, and full of joy! Luke was in a life altering event that started one month ago. The diagnosis of Spinal Meningitis has proved to be a road filled with questions and uncertainty. He is battling to regain his speech along with the use of his left side which has left him in a wheelchair. This past month has been filled with many GIANTS for them but their faith and trust in God has given them peace in a very uncertain time! I am in pure awe as I read their daily blog. They are amazing parents fighting for their precious son! Please pray for Luke and their family...pray for healing, guidance, and trust! with men are possible with God"